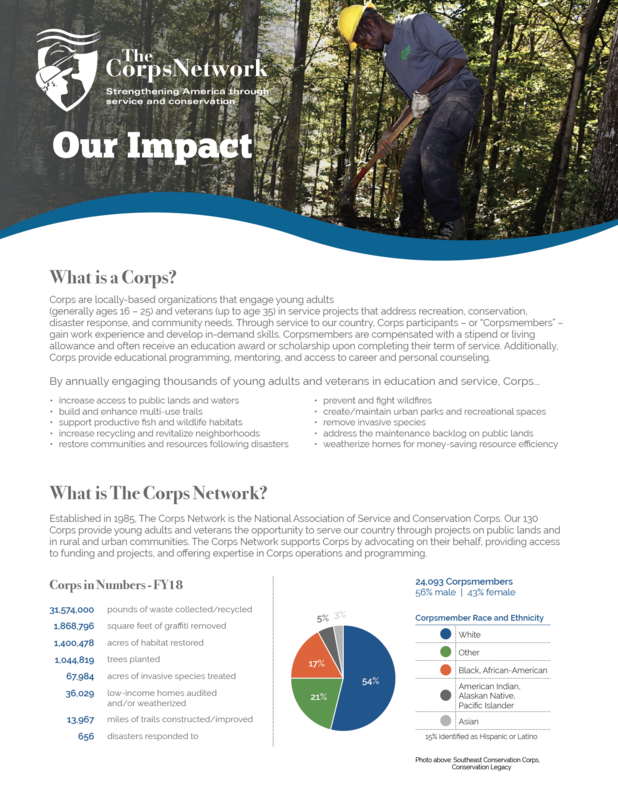 We hope to see you at Resilience, The Corps Network 2019 National Conference! Unless otherwise noted, most Conference-related activities will take place at the Fairmont Washington, DC. Exact room locations to be announced. Schedule is subject to change. 5:15 p.m. – 6:00 p.m. National Park Service Regional Meetings Note: The NPS Regional Meetings have been cancelled due to scheduling issues related to the Government Shutdown.